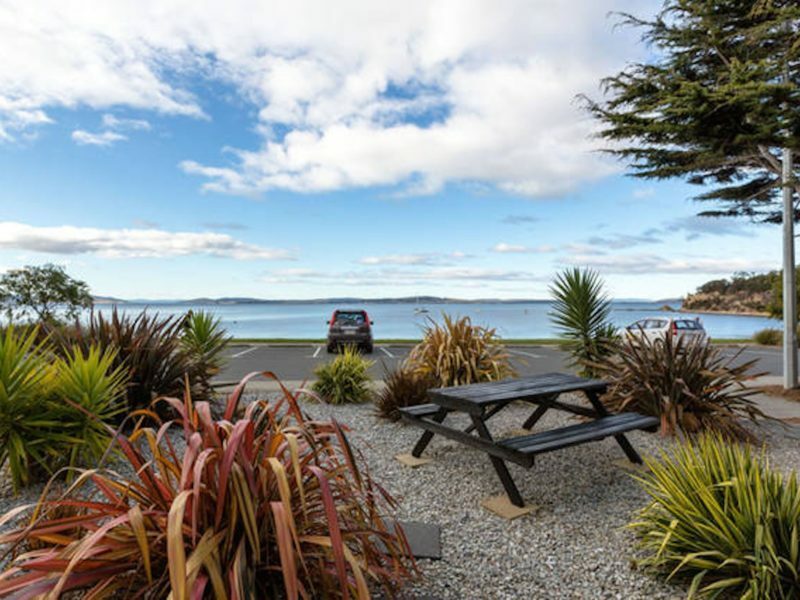 The Beach Apartments are located on the beachfront at beautiful Blackmans Bay. 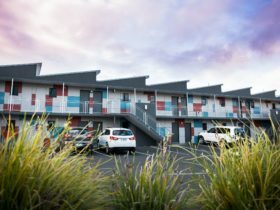 They are less than a 20-minute drive south of Hobart’s CBD and a five-minute drive from the bustling shopping and business district of Kingston. Ideally suited for great getaways, the apartment boasts spectacular ocean views from every room, except the bathroom. So whether you are after the beach, romance or relaxation, this is the place to do it! 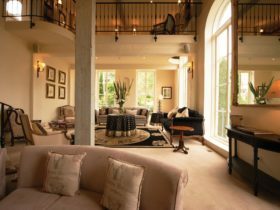 The apartments accommodate up to four guests with a queen room and room with two singles. The luxury bathroom has a shower and spa in bath and a large flat screen television and DVD in the living. 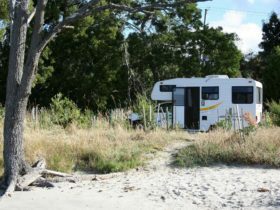 It has full kitchen facilities with stone benchtop, dishwasher, microwave, and oven and a complete laundry with washer and dryer. Less than a five-minute stroll along the Esplanade is the modern up-market Beach Cafe/Restaurant with a takeaway and bottle shop next door. Various activities are available such as fishing, swimming, diving, boating, bushwalking, golf or just lying on the beach. Alternately drive/bus into Hobart’s city centre to shop or sight see, or take a day trip to the Huon region to enjoy the scenery and tourist attractions. Relax and enjoy absolute Hobart waterfront accommodation. The Beachfront Apartment offers superbly furnished two bedroom apartment accommodation opposite the beautiful Blackman’s Bay beach. It is located less than 20 minutes drive south of Hobart’s city centre and only 5 minutes from the shopping and business centre of Kingston. 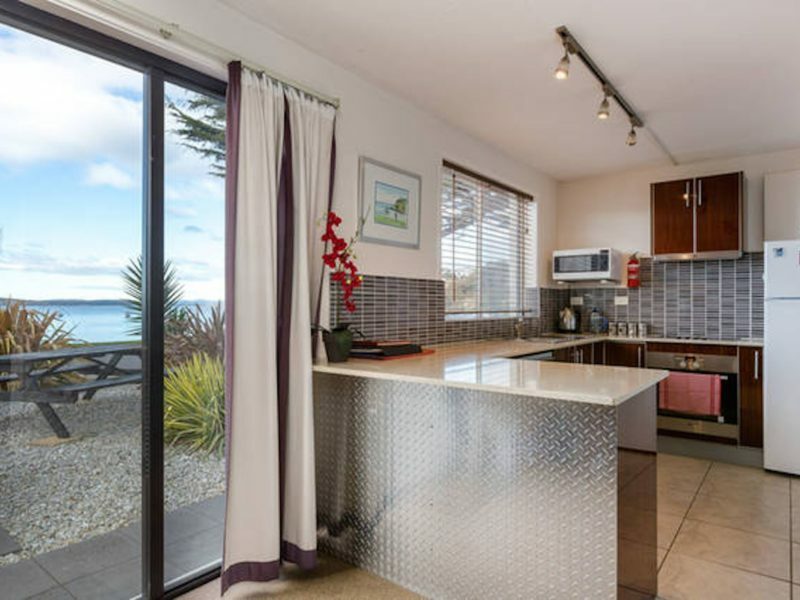 The Beachfront Apartment boast spectacular ocean views from all rooms except the bathroom. It is equally suited to small families, honeymoon couples seeking romance or the corporate client wanting to relax and enjoy the view after a busy day. 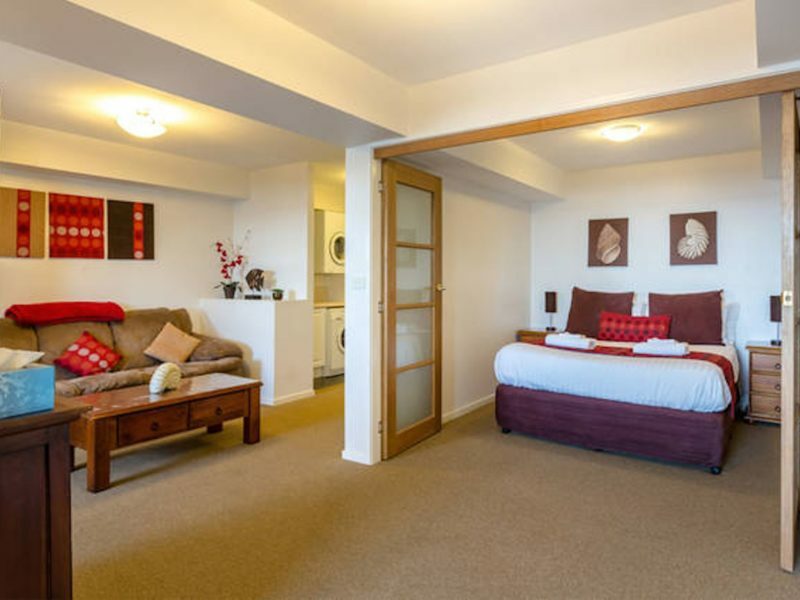 With a queen bed and two singles the apartment is ideal to accommodate 4 guests. The accommodation provides a fold out bed and portacot if required for additional guests. The luxury bathroom has a shower and spa, the living area has a large flat screen TV, DVD/VCR and CD player. The apartment provides full kitchen facilities, dishwasher, microwave, oven and fridge/freezer. The apartment also has a complete laundry with front loading washer and dryer. Restaurants are located less than 5 minutes stroll along the beach, with a variety of activities available close by. 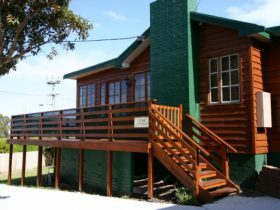 Our self contained accommodation is a perfect base from which you can explore Hobart and southern Tasmania.